I'm a little embarrassed at how many stripes you will find in my closet, but I can't help myself. Nautical stripes are easy to pair with solids like I have done here. I'm all about easy pieces especially when I travel. Pieces that can be rolled up and mixed and matched are essential in the sealaura closet. Although I am a light packer I do make room for accessories. I figure if you are going to minimize your clothing, you definitely have to maximize the look by adding some statement pieces. 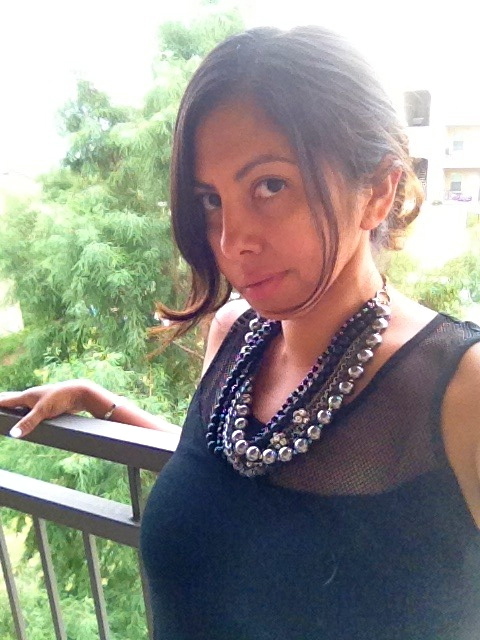 This necklace is one of my faves. I feel like a raven haired mermaid when I wear this one, especially with the black mesh top. But I also love delicate pieces, so I pack a little bit of everything. If you look to the left hand bottom corner you can see little Norman chilling. We like to come out here in the evenings to wrap up the day and catch the sun going down. Not to mention do a little thinking and plan out our next expeditions. Right now we are trying to plan a trip to San Antonio but I'm not sure the boys will be able to come (don't tell them!) We always try to bring them when we travel but we also want to explore a bit and maybe even eat at a nice restaurant! With the boys, we are usually Taco Belling it or praying there is an outdoor cafe. Texas is not as dog friendly as Cali, or at least I have not found pet friendly places yet. Maybe I will find some on this trip and the boys can come on the next one. Any late summer trips on your agenda? love the title! Reminds me of a nautical store in Florida called "Nautical but Nice" hehe. You will LOVE San Antonio. As you probably know, we go as often as possible. Doxy has not joined us there on any trips yet but from what I see, it is somewhat dog-friendly. FYI, I've heard Austin is quite dog-friendly..It's on our agenda for a late summer getaway, as is Eckert James River Bat Cave Preserve, west of Austin. You are so pretty, and I especially love that 3rd photo! OH, San Antonio. I love that city, so very much. You look so cute! Norman too. I have been to San Antonio once. All I remember is the zoo and the Drury Inn were nice. love your outfit! 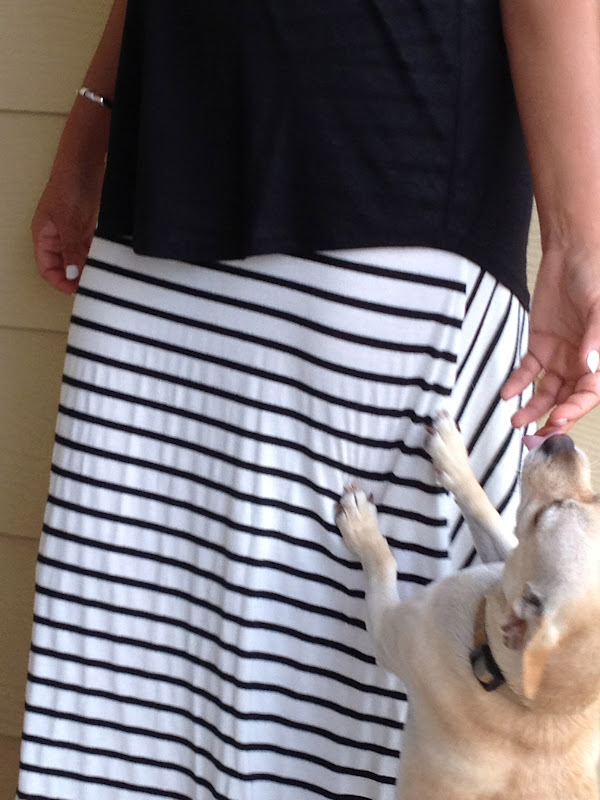 i'd like a skirt like yours and also love nautical stripes. My friends always make fun of me for the amount of stripes in my closet & is a running joke when we go shopping I tend to point out striped shirts.